Following up after the ATA conference—How to ensure your efforts and expenses don’t go to waste! Review your notes from the conference sessions and networking events. Make a to-do list of people to follow up with, and save all the business cards you collected. You can upload them to an electronic contact file, but be sure to save the business cards too in case you want to check them later. Organize the cards by what type of contact the person is—potential client, colleague in your language pair, interesting person you want to get to know more, etc. Dear Mary, it was great to meet you at Brainstorm Networking during the ATA conference. I was really curious about what you said about medical terminology. I’ve been studying in some crazy ways, but I never ran across your method, and you said you had a description written down. Would you be willing to send it to me? I think it will really help me solve some of the translation problems I run into. By the way, would you like to work with me on some of the translations I do? Maybe you could review some of my work, and we could see how it goes. Dear Mary, as I was talking to Joe at the ATA conference, I realized he is working on exactly the same problem you are trying to solve. I think if you and Joe got together you would do great work. You can find his contact info in the conference app. Tell him I mentioned this to you, because I was talking to him about you today. I hope it goes well! This type of connection is mutually beneficial to both Mary and Joe, and it also makes you look good! Keep an eye out for opportunities to help others. Reach out again to everyone you met at the conference within two months. Ask questions about specific conversations you had or situations they told you about; show that you are interested in them and that you want to keep in touch. This is a good opportunity to briefly share the progress you have seen in your business/job/other endeavors since the conference or how you’ve implemented what you learned and are using it to grow your business/job/other endeavors. Reach out once again to the people who responded to your initial correspondence. Follow up on your more recent discussions and keep the correspondence going so that the person remembers you and recognizes that you are taking an interest in your professional relationship. You can ask if they are going to the conference next year and how business is going for them. Take some time to evaluate how the conference went for you the previous year and consider what you need to do to prepare for next year (it’s never too early to start thinking about this). Perhaps you need to develop a professional website or set some career goals for yourself. If there were things you felt you could have done differently, either in preparation or during the conference itself, review your notes and consider what you need to do to get the most out of your time this year. ATA is affiliated with a variety of local translator and interpreter associations across the U.S. that help professionals stay involved in their own regions throughout the year. This map shows the locations of regional T&I organizations across the country. There are three types of local T&I organizations: local chapters (official chapters of ATA), affiliated groups (affiliated with ATA but not officially chapters), and other T&I groups. To find out how to join the local T&I group nearest you, click on the aforementioned links. These local translation and interpreting professional organizations offer the opportunity to connect with people in your profession who live in your geographical region, which means that you will be able to meet in person more often and share advice, stories, and questions on a more regular basis. Local chapters and other groups also hold regular events for networking and professional development. Much like ATA, they also typically provide various levels of membership, which includes a listing in the organization’s directory of translation and interpreting professionals. 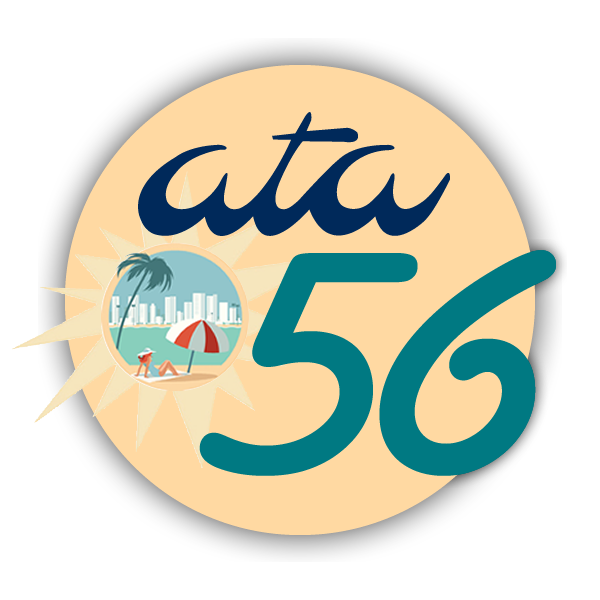 Each person’s ATA membership includes free membership in the various divisions, which are organized groups within the association for special interests, such as languages or language families (Spanish, Nordic, Slavic, etc. ), specializations (Medical, Science and Technology), or service types (Interpreting). 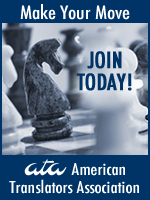 These groups convene at their annual meetings during the ATA conference, but they also provide benefits outside of the conference in terms of member forums, newsletters, webinars, and more. Joining a division is simple. Just log in to your ATA membership profile on the website and click the word “Modify” next to “You belong to __ divisions”. Select the divisions you would like to join and then click “Submit”. There is no limit to the number of divisions you may join. Once you have joined the divisions of your choice, visit each of their websites to see what they are up to. On these sites, you will be able to sign up for listservs (member forums), newsletters, blogs, and more. You can also visit these sites periodically to keep up with the current news and events for each division. The Business Practices forum is a lively and active Yahoo group where ATA members can collectively discuss issues related to business practices in the translation and interpreting professions. You can opt to receive an email each time a new post is made, or you can receive a daily digest of the discussions. Some forum members choose to lurk in the background, following the conversations but not necessarily contributing, and others choose to participate in the discussions on a regular basis. Either way, you are sure to learn a lot from your colleagues in this forum. The Savvy Newcomer is a blog that ATA volunteers started in order to provide resources and advice for people who are just getting started in translation and/or interpreting careers. We post articles weekly with relevant content for newbies, and we always welcome feedback and questions. The ATA Mentoring Program matches newer translators or interpreters with more experienced ones in a one-on-one, year-long program wherein the mentor offers ongoing advice and support to the mentee to foster his/her professional growth. Learn more and see if you are currently a good candidate for mentoring here: https://www.atanet.org/careers/mentoring.php. Don’t underestimate the benefits of other resources you may have in your own backyard! – Your local chamber of commerce most likely has networking events where you can meet potential clients or other professionals.